Les dernières déclarations de Valdès est qu’il ment maintenant pour ne pas entraver sa “carrière religieuse”. Summary: On April 25, 1977 in Pampa Lluscuma (near Putre), Chile a soldier was in shock after a strange, five-day saga with a UFO. Six members of an army patrol saw two bright objects descending from the sky. Cpl. 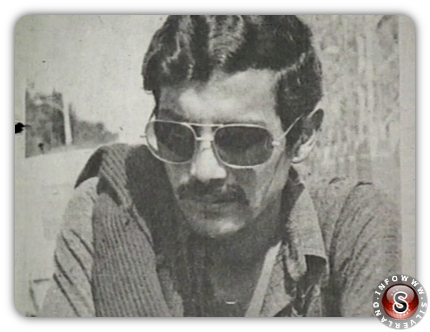 Armando Valdes, the patrol leader, set out alone to investigate and, according to the men, simply vanished. Fifteen minutes later, they said, he reappeared, tried to speak and passed out. The date on his watch had been advanced five days, and he now had about a week’s growth of beard. Incident: “You don’t know who we are or where we come from but we will be back soon.” These are the strange words uttered by Corporal Armando Valdes, leader of a Chilean military patrol. Just some 15 minutes previously he had been subjected to a mysterious UFO encounter at Pampa Lluscuma near Putre in Chile. The date was April 25, 1977 and the time about 4:00 AM. Putre is 50 air miles ENE of Arica, a larger city in Chile. Corporal Valdes was in charge of a patrol on routine assignment near Putre in the early morning hours of April 25, 1977. He and his six-man patrol were sitting around a campfire alongside a wall of stones and mud at the secret army post of Pampa Lluscuma. They were talking and singing quite a while to stay awake. Two of the men kept watch several feet away. About four in the morning one of the men. Private Rosales, ran back to Valdes to report that two bright violet lights had landed, one of which was in sight and illuminated the whole area. The light approached closer. Valdes ordered his men to cover up their fire with blankets. The violet light with a red spot at each end withdrew and then returned closer. The patrol was terrified. There was no sound with the UFO motion. The Chilean high plateau was amazingly silent. Corporal Valdes stated “after praying to God and ordering the light to leave . . . after demanding that it identify itself, I moved a few meters away from my men.” The corporal moved toward the object. He disappeared for some 15 minutes. When he reappeared, he was shaking and his voice seemed different. The light had been illuminating the whole area. As Corporal Valdes reappeared he was heard to utter the words at the beginning of this article. He then became unconscious and was attended by his fellow men till he awoke some two hours later. The UFO also disappeared about this time. While the unconscious Corporal Valdes was assisted by his patrol, his men made another strange observation. They saw that Valdes had a beard growth equivalent to several days without shaving. He had been well shaven before the incident. As Valdes awoke he exclaimed, “I don’t remember anything from the moment I left you.” He then ordered, “Get ready to leave because it’s 4:30 in the morning. It was actually about 7 AM. His calendar watch had stopped at 4:30 but the date was five days advanced – to the 30th instead of the 25th. The Valdés Case – the most paradigmatic episode of Chilean ufology – has been revisited in “La noche de los centinelas” (The Night of the Sentries), an 8-year-long journalistic investigation that looks into background events, locates the protagonists and “uncovers more than one surprise”, according to the author. It occurred one early morning on April 1977 near Putre, in the Chilean highlands. Eight young soldiers were keeping watch around a fire when they were startled by the appearance of two ghostly lights of unknown origin in the vicinity of some nearby hills. One of them disappeared behind a small hill while the other placed itself at the foot of a mountain, flying over the area and engaging in approach-and-retreat maneuvers before the eyes of the disconcerted soldiers. After three minutes of terror, corporal Armando Valdés, in charge of the squad, walked away from his companions toward the light. The young conscripts watched him vanish from sight for 15 minutes, during which their calls for him and their search yielded no result. At a given moment, they heard the subofficer’s voice pleading for help, and they saw him walking toward them unsteadily. He had a dense growth of beard despite having been clean-shaven just minutes earlier, and the calendar on his digital watch was five days fast. The startled conscripts settled him near the fire. And that was when he said, in a strange voice:” “You will never know who we are, nor where we come from, but we will return again.” He then fell asleep. The case became a journalistic sensation and achieved global notoriety. But within days, its protagonists slipped into obscurity and Corporal Valdés became a legend. Twenty-five years later, journalist and researcher Patricio Abuselme took up the challenge of reinvestigating the case and interview its main protagonists, an effort which is summarized in his book La noche de los sentinelas, an in-depth journalistic investigation on the incident, which he published in late 2010 under his own publishing house – Terra Incognita. “This is the case that made Chilean ufology known worldwide. However, no one bothered to conduct a serious, in-depth investigation of the case. I took up the challenge in 2002, and it took me eight years to compile the protagonists’ accounts and reassemble this “impossible story”, says the author. In less than 300 pages, Abusleme provides a comprehensive view of the case, from the first journalistic dispatches reporting the incident to exclusive interviews with the main protagonists, including subofficer Valdés (Ret.) – unpublished details and conclusions that the author has described as preliminary. “When I started this investigation, I did so in the secret hope of explaining the whole case in conventional terms. And I thought I was well on the way until the main protagonist of the story debunked the cases most controversial aspects – the growth of his beard and the wristwatch’s date change – by providing conventional explanations. The problem is that when I tried to corroborate it with the other witnesses, they provided a version that was mutually congruent, but at odds with the one offered by Valdés. For this reason, the book poses a controversy,” says Abusleme. SANTIAGO, Chile — A Chilean soldier is still in shock after a weird, five-day ordeal with a UFO. Six members of an army patrol were bedded down around a campfire while two men stood guard. Suddenly, two bright objects began descending from the sky. One dropped into the Andes foothills out of direct sight, but the men in the patrol, now fully awake, could see the glow of its light. The second, they said, lowered almost to the ground about 500 yards away from the camp. The men said it shone with a violet light with two points of intense red. Cpl. Armando Valdes, the patrol leader, ordered the soldiers to take up their weapons. Then he set out alone to investigate and, according to the men, simply vanished. Fifteen minutes later, they said, he reappeared, tried to speak and passed out. They said he regained consciousness about 7 a.m. but that his watch showed only 4:30, the approximate time he reappeared. They also said the date on the watch had been advanced five days, and that Yaldes now had about a week’s growth of beard. This purported sighting occurred April 25, and since the soldiers’ tale was publicized dozens of other unidentified flying objects have been reported up and down the 2,700-mile length of Chile. Valdes says he does not recall anything that happened during the 15 minutes he was missing-Some skeptics said the soldiers may have seen a desert mirage. But other sightings have been reported on the outskirts of this capital city, in the rainy lake region about BOO mites to the south, and over the Straits of Magellan at I he cold southern tip of the continent. The U.S. National Aeronautics and Space Administration and the University of Chile jointly operate a space tracking station a few miles north of Santiago, but officials at the station had no official comment on the reports. A source at the station who asked not to be identified said he felt some of the previous UFO sightings in Chile were satellites or airplanes. But he said the most, recent sightings, made at relatively close distances, did not appear to be satellites. Oscar Bravo, a radio announcer at Punta Arenas, the major town on the Straits of Magellan, said he awoke about 3 a.m. one night and went, to the kitchen for a glass of water. “First, I noticed the sky was bright,” he said. “This caused me to open the curtains, and I could see these two things suspended in the air emitting a strong light, bright and orange. “The light went out but returned, with a violent color. Then these two things, of oval shape, moved at a rapid speed, opening themselves like a V and closing at a higher point in the sky.” They finally disappeared over the straits, he said. A few nights later, passengers on a bus going from Puerto Monti to Puerto Varas in southern Chile said they saw something similar about. 100 yards above them in the sky. TEMUCO, September 26, 2003 – In an exclusive interview with Terra.cl, legendary corporal Armando Valdes claimed that from the start he knew ha had not been abducted. From his home in Temuco, he stated that his story had been misinterpreted, “although the matter of the beard and the wristwach was true”. He likewise spoke about his current project: a book that should appear by year’s end in which he retells his version of the events which transpired on April 25, 1977 in Chile’s First Region. Terra: Recently, you have been engaged in discreet research into your experience. Is this true? AV: Yes, in fact I’ve been fully involved in developing my book and furthermore, looking into my experience, since I wish to be as factual as possible in my story. Terra: As a result of this research, have you returned to the scene of the events? AV: Yes, I went back in November 2002–25 years later…Pampa Lluscuma and the remains of the horse stables where the events occure. There, in the company of researcher and journalist Patricio Abusleme, we recreated the events and made a series of measurements, gathering very significant background information. Terra: How did you feel about going back? AV: As you can imagine, it was shocking. It was the first time I went back after two decades. It was a motivating experience which allowed me, first and foremost, to confirm or recall certain detaills which were lost with the passing of time. Terra: While much was said about the “abduction” of Corporal Valdés, there was none. What’s your version? AV: Truly, I wasn’t abducted. This is the reason for sensitive nature of what I’m putting forth in the book. Some important background details are being released. Terra: Did you think at any time that you had been abducted or did you always know this wasn’t the case? AV: Look, it’s really complicated to explain all of a sudden. That’s the reason behind my trip to Putre, my scientific studies and the book I’m writing, because it’s all very complicated. Terra: But did you think at first that you’d been abducted? AV: I would say that I knew immediately how things had happened. What I’m explaining in my book [is making known] the reasons for which certain items went off on another track. Terra: In other words, your initial story was misconstrued? AV: Indeed. I didn’t think at first that I’d been abducted, althought the matter of the growth of beard is true, as well as the subject of my wristwatch. Buf for this reason I have taken to writing the book to explain the reasons behind all of these things. Terra: Lately you have been silent in the media. Why is this? AV: What’s happening is that I’m engrossed in finishing my book. I wanted to work in silence until the task was done. Terra: When can we expect the book to be published? AV: In the book itself I say that it’s been a serious mistake to promise dates. Many special situations have occurred–some very strange things–but I’m making an effort to finish it by the end of the year. I’m giving it my all, since I’d like to finish it as soon as possible. Terra: Any options to publish the book abroad? AV: Yes, there have been offers from abroad, but I don’t want to entertain them until the book is finished. My greatest desire is for everyone to read it, since I have a message for all humankind in it. Therefore its publication in Chile or elsewhere is unimportant. We will decide where to publish it at some point. Terra: I understand that you are a [born again] christian and an evangelical. Is this true? AV: Yes, I am, and a teacher of the evangelical faith. Terra: How have your religious surroundings influenced your story? Or rather, how has your story been received? AV: My story and explanations have been accepted to a certain extent, and I have told them certain things and in a certain manner. There are many who hold points of view different from my own and I don’t have to deny that there are contradictions. But as I said, the story is mine and they have not influenced me at all regarding my book. In fact, there are those who may agree or not agree with my book tomorrow, and will not stop what I’m doing. Terra: Would you say that the experience you underwent in Pampa Lluscuma was more of a spiritual than a ufological event? AV: There are mixed items. The term UFO today is contaminated by another type of thing, and I prefer to speak in terms of FANI (Unidentified Aerial Phenomena). I think that in my experience there is a bit of everything–a good measure of paranormal phenomena, strange effects, lights, many things acting in unision and this is what I am showing in my book, although it’s been hard for me to convey on paper what I felt, what I experienced and what really happened. Terra: Finally, are you in touch with those who also took part in the unusual event and who formed part of your patrol?